Charismah "I just got back from this tour and I absolutely loved it. I have never used a tour to travel before but I was quite impressed. It's a great way to reduce the hassle of having to deal with all the small details. Our tour leader was awesome, super funny, and very knowledgeable. I was able to enjoy some experiences I probably would have never had the chance to experience if I had done the trip on my ..."
Start in Rome and end in Venice! With the in-depth cultural tour Italy at Leisure - 10 Days, you have a 10 day tour package taking you from Rome to Venice and through Rome, Italy and 9 other destinations in Europe. 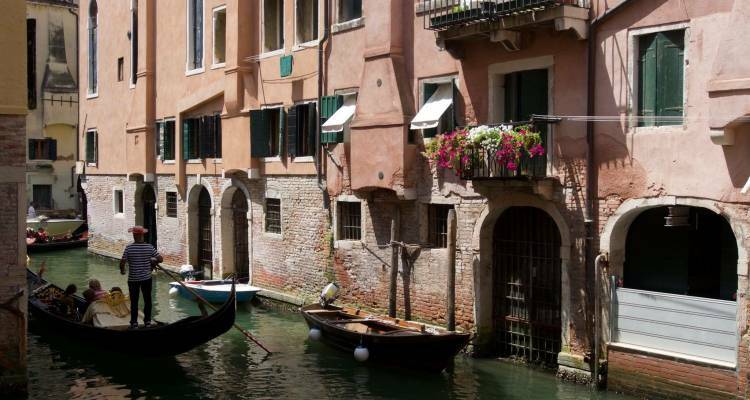 Italy at Leisure - 10 Days includes accommodation as well as an expert guide, meals, transport and more. We had a wonderfull time. The Tuscany hotel was not great. The safe didnt work and the airconditioning broke every night. Hotel Le Fonti was disappointing, but I did like Montecatini. I wish the Rome hotel was closer to ancient Rome core. On a scale of 1-10, I’d give Vivian an 8.5 and hope to have her again. There is a lot to complain about with this tour - the guide, some of the accomodation - and time frames which will be corresponded direct to Tourrador. Was the best experience I've had in a vacation. So organized, fun and accommodations were very nice. At TourRadar we are here to help you book the best tours from around the world, however, the tours we offer will not include international airfare, as travellers can join the trip from many different countries. We do have a helpful place to search flight prices and book your own flights here: http://flights.tourradar.com/en-GB/flights. Rome is the starting point and Venice is the endpoint. TourRadar only requires a deposit of $99 to confirm this Expat Explore Travel booking. The remaining balance is then payable 65 days prior to the departure date. For any tour departing before 30 June 2019 the full payment of $1,445 is necessary. No additional cancellation fees! You can cancel the tour up to 65 days prior to the departure date and you will not need to pay the full amount of $1445 for Italy at Leisure - 10 Days, but the deposit of $99 is non-refundable. Covering a total distance of approx 679 km.